Created by the house of Givenchy for designer, Michael Kors, complementing 2000's female scent. The fragrance 'Michael' is descibed as sensual, refined and distinguished. There are 127 reviews of Michael for Men. Michael for Men was purportedly created by Givenchy for designer Michael Kors himself, both as a signature he could wear, and as a masculine counterpart to the debut feminine of a year earlier. Journeyman corporate perfumer Harry Freemont unsurprisingly created this, and as the nose behind many popular scents ranging from Avon to Tom Ford, Claiborne to Calvin Klein, his expertise in crafting moderately-flirtatious mainstream scents shines through yet again. The mind behind everything from Ralph Lauren's Polo Sport (1993) to Claiborne's Spark for Men (2003) doesn't typically head down the dry, leathery, tobacco direction often. Even with his more spicy creations, there tends to be a lot of sweet counterbalancing to make them more likeable to a wider audience. Michael for Men still is a leather scent, but the final result of the dry down feels like a second-guessing that results in an added sweetness that is less of a syrupy sweet like the aforementioned Spark for Men and more like a sip of Hennessy. I can see why this wouldn't last long under the mainstream sun, and eventually became re-orchestrated by Freemont for re-launch in 2014 as "Michael Kors for Men" when this style came back into vogue, because there's just something sort of odd about it; there's a dash of personality that was a bit hard to take in it's day, never mind the fact that barbershop scents were near-anathema at the time. Michael for Men opens with a shockingly boozy arrangement of notes, including bergamot, elemi, cardamom, tarragon, star anise (typically found in Asian cuisine), thyme, and coriander. Most of these notes made it into the new version as well, and are held aloft by a fat suede leather note, and some synthetic incense note before the base kicks up. Rich patchouli and sandalwood exist in both versions, but whereas musk rounds it out in the re-interpretation, this original has a 70's-style tobacco note in with the leather and a scary plum note reminiscent of the "masculine plumeria" that was Avon's Far Away for Men (1998) coming up near the end. This bit of fruity weirdness actually fits in better with the patchouli and sandalwood than in the aforementioned Avon scent, since it does so without smelling ambiguous in gender. Compared to the re-launched Michael Kors for Men (which is missing the plum and tobacco), this is a bit bolder, less-staid, and more fun. Michael for Men was really behind the times on the boozy/leathery/woodsy trope, or really ahead of the curve before hipsters decided old-school was cool again, depending on how you want to look at it. Either way, this juice didn't really result in a ton of success in the fragrance world for MK outside of the strong following that still buys up surviving stock to this day. I'd almost compare it to a more risque earlier incarnation of Tim McGraw Southern Blend (2009) except without all the longevity problems, but that's just me. It's big letdown is the blending, and it's rough edges are enough to make some more discerning noses uncomfortable with it, especially in the opening. Once again considering who penned this creation, it's rather shocking. Harry Freemont masculines are never this much outside the box; just look at Calvin Klein Man (2007) for example, and the only other time Freemont really made anything this odd was the under-the-radar and also sadly discontinued Very Valentino for Him (1999), so I get the gist that when the perfumer is allowed to play around a bit, the results are less than the bean counters were expecting. It's a shame really, as just with the Valentino, this one is rather nice, even if not essential to anyone save a collector. I find the leather note here a bit too quaint to join a wardrobe full of more distinctive leather scents, so anybody with a bottle of Knize Ten (1924) or even Aramis (1965) will likely laugh at this tame suede scent. Digging up a bottle of Michael for Men will yield an oddly fruity, warm, but soft and inviting leather/tobacco aura that is neither in style but yet still stylish somehow, and is left-of-center just enough to draw the nose over, but not niche enough to divide the room. I find it also to be something of an in-betweener in the way original Michelob beer is a bit stronger than typical American beer, but not a full-tilt import lager, since it's really just a drop of strange into what is otherwise a standard classic style made when it wasn't cool to do. Some guys like adding a few drops of Tobasco to their tomato soup, or a shot of espresso to their chai latte, and for those guys there's Michael for Men. If you'd rather have a more standardized experience, get the re-launch instead. 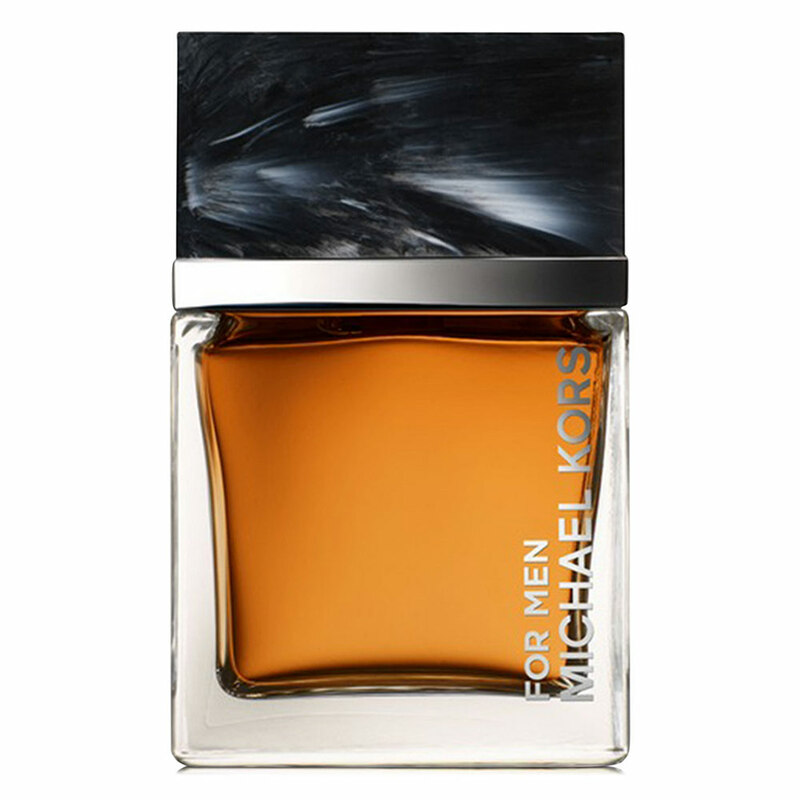 Michael for Men, not to be confused with the 2014 release Michael Kors for Men Is a classic beauty! I just love the Tobacco, Plum and Leather. I'm grabbing a few more of these before they disappear forever. Michael for Men (not Michael Kors for Men) smells very much like Latours Cigar. So much so that I don't feel the need to own it since I already have the much cheaper and generally more pleasing Cigar. Cigar has all the same tobacco as Michael but adds a sweet finish, which I prefer to the oily leather with funky patchouli you get with Michael. Projection is very good with Michael for Men, so if you enjoy it, it should be a good performer. What a great bottle! ...other than that this fragrance is a solid thumbs down. I am not a fan of star anise, although I can deal with it when well blended (Azzaro Pour Homme). With Michael for Men, the anise is up front for at least 2 hours on my skin and just dominates. I kept waiting for the patchouli, smoke, incense and tobacco to reveal themselves? It never happened. Very polarizing frag here on BN so all I can chalk it up to is skin chemistry. PS: What a great bottle! Let me begin with stating clearly that Michael is my signature scent. My wife bought it for me years ago and I used the entire bottle. Then it seems we couldn't find "Michael" in our usual sources, so I dabbled in many other fragrances but never quite found what I was looking for. I came close with some of the John Varvatos line and continued to jump from designer to designer. Unfortunately I discovered that many of the other fragrances in this genre can become cloying, toying with the Leather, Tobacco, Patchouli, but never quite hitting the mark for me. This fragrance initially comes on with a 1-2 punch of tobacco and spice, but soon mellows on the dry down to a triple combo of leather, patchouli and sweet dried fruit. This stuff lasts on me for about 6-8 hours and draws compliments from women as well as men. What's best is that because Michael is pleasing to a wide audience, I can wear this scent in confidence without offending others. The projection is good but not too wide, which also keeps it from being too much. The bottom line is that in the many years where I have explored other scents, I realized that Michael is what is what I was after all along. I missed this fragrance. Then, quite recently and on accident, I stumbled into a Michael Kors store and found my old scent, unchanged, unsullied and consequently my love for it unyielding. I bought a bottle at a great price. I am so glad to be reunited with "Michael" and so is my wife! Interestingly, so is our 3 month old kitten who can't seem to get enough of smelling my neck. Michael for Men is a big, dense leather, tobacco and patchouli scent. It’s warm, dark, and sweet, and coming from the late 1990s, it smells like a throwback to the previous decade. Which is not necessarily a bad thing, given what the mainstream market had to offer men by way of fragrance in the 1990s. Michael for Men has a stylistic antecedent in Pascal Morabito’s Or Black, and progeny in By Killian’s recent Back to Black, with which it shares its intensely fruity tobacco and patchouli accord. In its weight, power, and reliance on patchouli, Michael for Men even shares some DNA with Mazzolari Lui – truly a brave composition to set afloat among the predominant aquatic scents and fresh fougères of the time. While I appreciate Michael for Men for its uncompromising boldness and refusal to bow to fashion, I also find it a little bit crude, even when measured against its own kin. The body of the scent seems oppressively monochromatic to me, and the drydown is disappointingly harsh and chemical, with an unpleasantly abrasive synthetic woody base note. In short, the idea is good, but I’m not entirely convinced by the execution. There are no member images of Michael for Men yet. Why not be the first? Michael For Men by Michael Kors - Does anyone still wear this?